Intel on Tuesday announced it has reached an agreement with rival ARM Holdings to produce 10-nanometer ARM chip designs at its advanced fabrication facilities, a strategy targeting smartphone chipmakers. Under the agreement, Intel Custom Foundry will be able use its upcoming 10nm FinFET platform to fabricate chip designs based on ARM's Artisan Physical IP, the companies said in joint press releases. Intel officially announced the collaboration at today's Intel Developer Forum in San Francisco. For chipmakers like Qualcomm, and potentially Apple, the Intel-ARM partnership opens the door to new foundry options beyond industry stalwarts Samsung and, more recently, Taiwan Semiconductor Manufacturing Co. As noted by Ars Technica, ARM's IP license appears to be somewhat narrow, meaning complex custom designs might not eligible for Intel's fab. "The initial POP IP will be for two future advanced ARM Cortex-A processor cores designed for mobile computing applications in either ARM big.LITTLE or stand-alone configurations," ARM said. South Korea's LG will be one of the first customers to use Intel's new service. The consumer electronics giant plans to produce a "world-class mobile platform" of its own design based on ARM IP, likely destined for release in a smartphone. LG traditionally turns to Qualcomm or smaller manufacturers for its chip needs. With LG already on board, Intel might be angling for bigger fish, namely Apple. 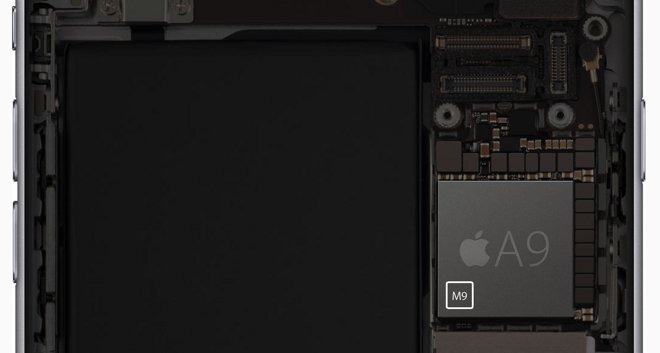 The iPhone maker's A-series mobile chips are also based on ARM architecture, albeit heavily customized by in-house engineering teams. Apple has exhibited a willingness to diversify, shifting a large percentage of orders from Samsung foundries to TSMC. Apple is unlikely to make the switch to Intel's process anytime soon, however, as standing contracts preclude meaningful diversification. For example, TSMC is said to be taping out the design for a next-generation 10nm "A11" processor expected to go into production in 2017. That being said, Intel is said to have won a spot in the upcoming "iPhone 7," taking a rumored 50-percent share of modem orders away from longtime supplier Qualcomm. Interestingly, Cowen and Company analyst Timothy Arcuri in July said Intel could be looking to ultimately integrate iPhone's baseband chip directly into Apple's A-series SoC, a design that would save space, offer higher operating efficiency and lower manufacturing costs. To do so would mean a switch to Intel's foundry, a possibility brought within sight after today's ARM licensing agreement.